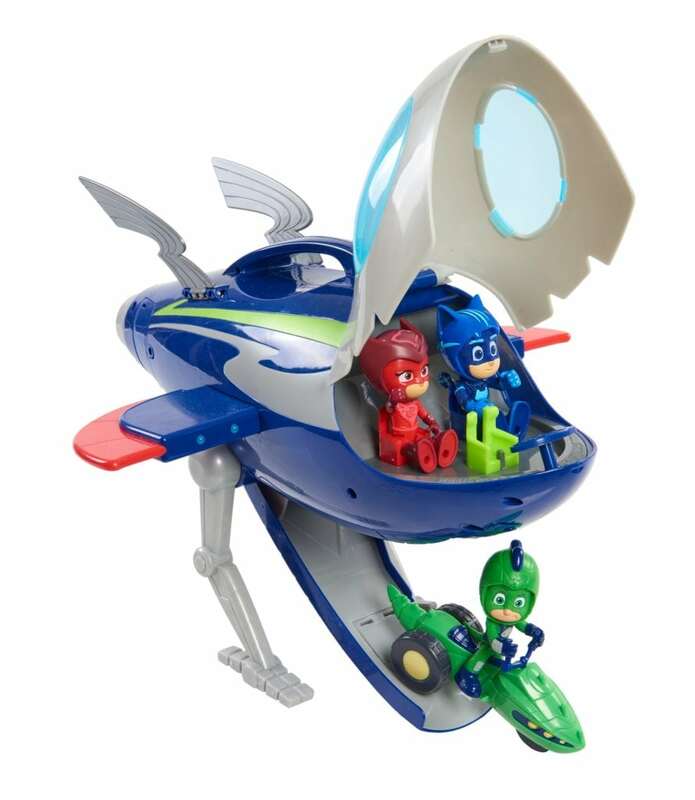 The PJ Masks heroes are blasting off to the moon with the PJ Masks Super Moon Adventure HQ Rocket. The Rocket features a special design inspired by the show with exciting lights and sounds. With the push of a button, release the Rocket’s ramp and watch Gekko launch out on his space rover. Kids can get ready for take-off by folding the legs and ramp and using the built-in handle to fly the Rocket around.